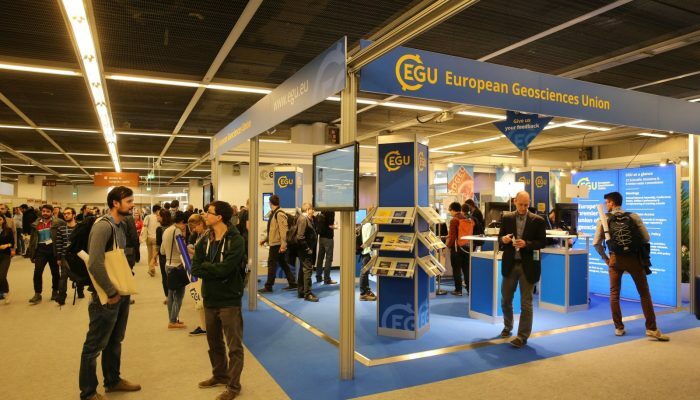 The EGU Booth is the place to come if you’d like to find out more about EGU activities (Credit: Foto Pfluegl / EGU). You can find the EGU Booth in Hall X2 on the Brown Level. This is the place to come if you’d like to meet members of EGU Council and Committees (Meet EGU) and find out more about EGU activities. Here you can discover the EGU’s 17 open access journals, browse the EGU blogs (GeoLog, the EGU Blog Network and the EGU Division Blogs), catch up on the conference Twitter feed, and more! We will also be giving away beautiful geosciences postcards, which the EGU will post for you free of charge. Beside the booth you’ll also find the finalists in the EGU Photo Competition, make sure you vote for your favourite images! 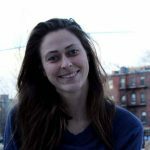 You’ll also find the Assembly Job Spot – be sure to check it out if you’re looking for a job in the geosciences, or someone to fill as spot in your research group. 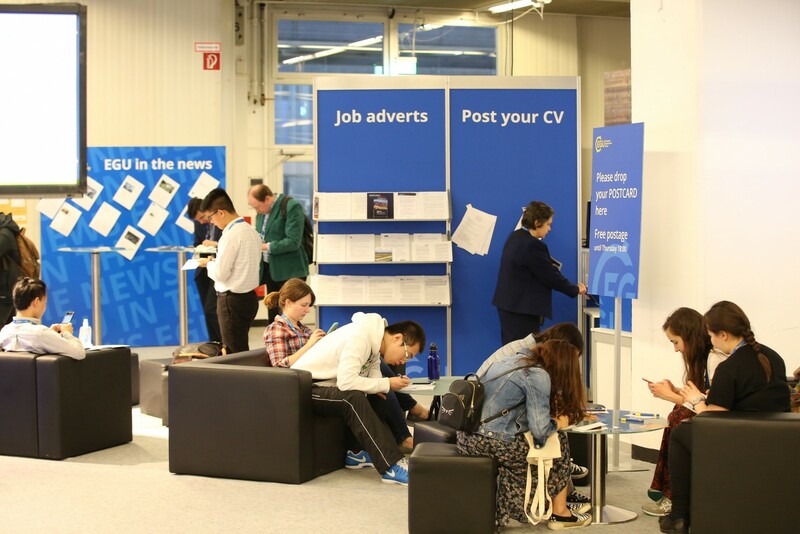 At the EGU Booth, you can (Credit: Foto Pfluegl / EGU). 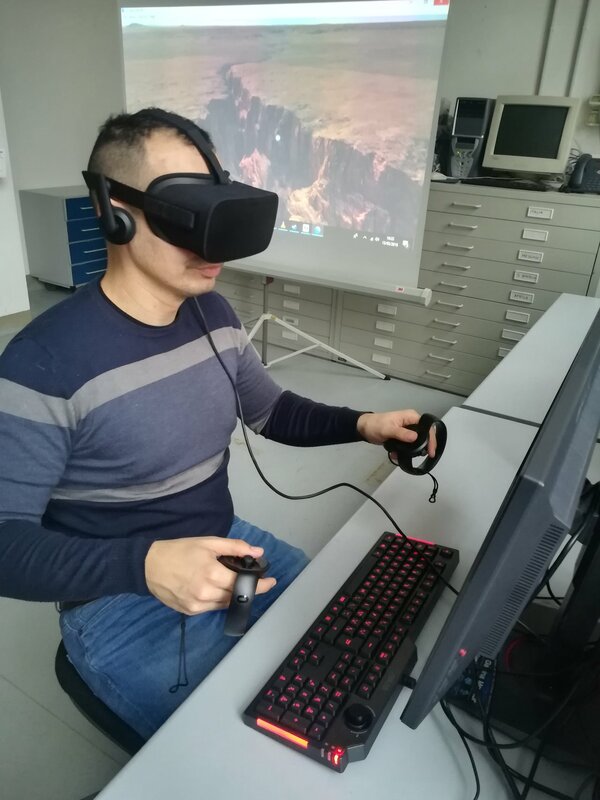 At the same time, at the virtual reality station nearby, you’ll have the chance to experience different geological landscapes in virtual reality with Fabio Bonali, one of the winners of the EGU Public Engagement Grants 2018, and his team. EGU 2015 General Assembly programme is now online!